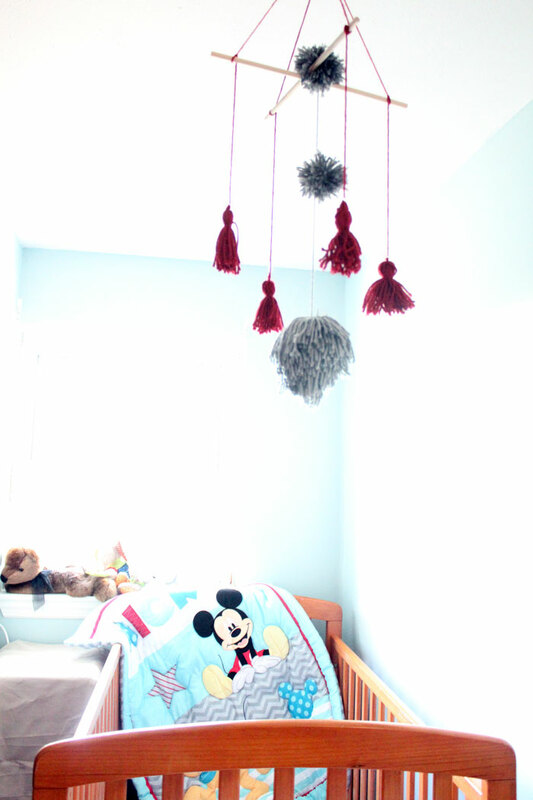 I am so excited to share with you how I TRANSFORMED our tiny nursery, using only a new set of linen by Disney Baby, and a DIY tassel and pom pom baby mobile! The linen was mismatched, didn’t go with the walls, and the sheet always came off. My toddler’s “room” is really only a corner of a room that is also the office and my craft room. It was plain, old boring. Our place is rented, so there was little we could REALLY do with it. I had to figure out a way to add CHARACTER on a budget, while making the cozy little corner look fun. In addition, because M is now 21 months old, I wanted it to be fun for him too, not just me! 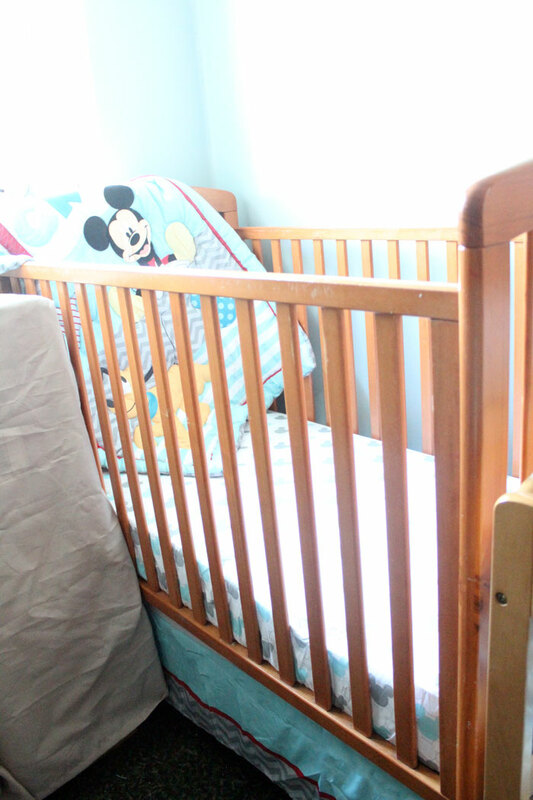 He’ll likely be in a crib for at least another year, and it was time to “toddlerize” his nursery – on a shoestring budget. To start with, I chose the Let’s Go Mickey baby linen from the Disney Baby line at Walmart. My toddler recognizes and loves Mickey so it’s perfect for him! The graphic “Mickey shape” print on the sheet and the chevron pattern makes it a top choice for me. And finally, the blues already match my walls, starting me off on the right note. 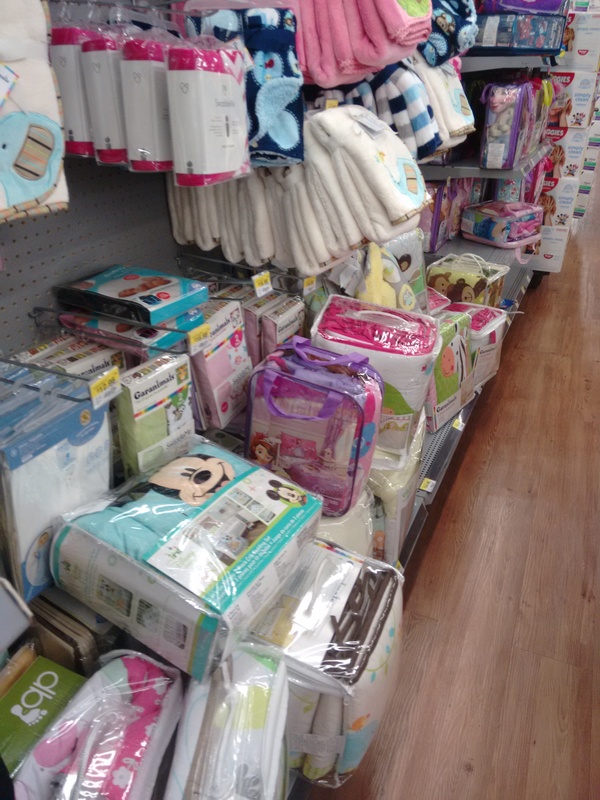 Walmart has an amazing new line of Disney Baby linen. 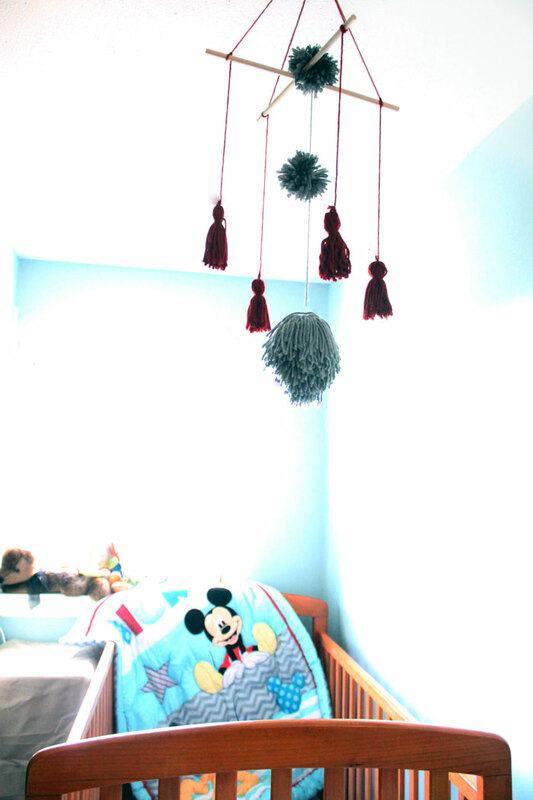 You can choose your favorite Disney linen, or one that matches what you already have in place, and customize the colors on the tassel and pom pom baby mobile to match! Next, I wanted to add something simple to make the room less boring. I was thinking of a triple canvas wall hanging but that would put too many holes in our rented walls. 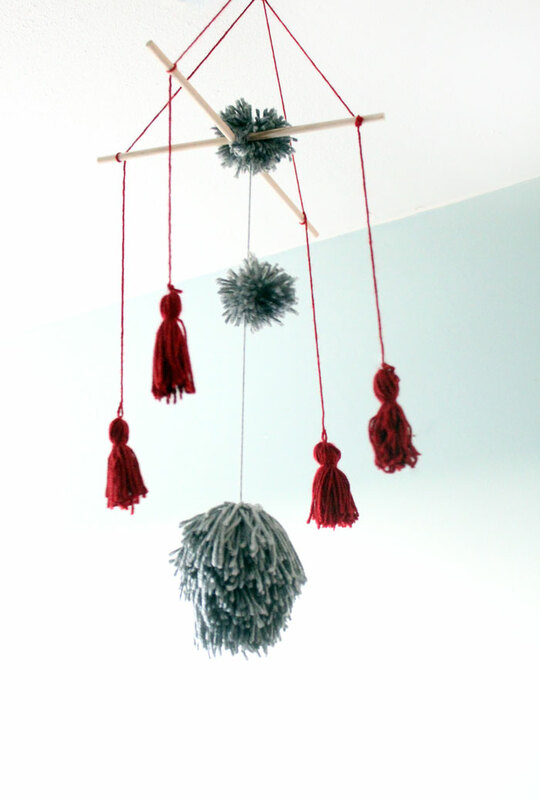 The perfect solution: a tassel & pom pom baby mobile! Before M was born, I made him the most adorable mobile. But when we moved across the world, I had to leave that behind as it was made out of folded paper shapes that just wouldn’t travel well. I figured it’s about time to make him a spunky, more toddler-friendly mobile that will match with his new Let’s Go Mickey bedding! I chose two colors of yarn that would coordinate with our new bedding, and be fun for both me and him. I kept the colors consistent, but went with a couple of shades darker than the ones on the actual linen, to make it slightly more sophisticated. 2. 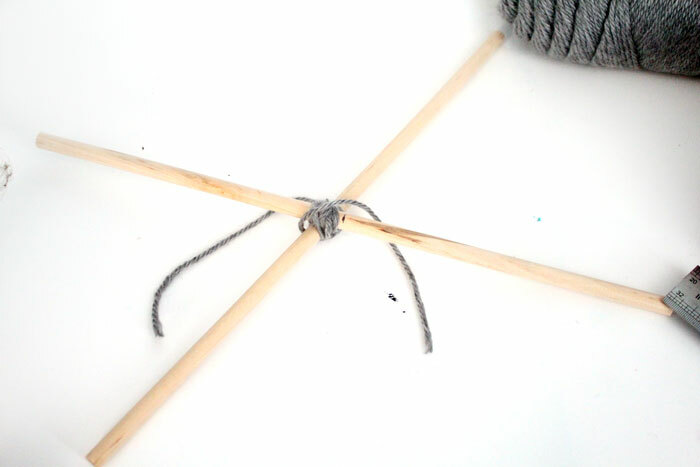 Tie the dowels across each other in an X using a bit of string. 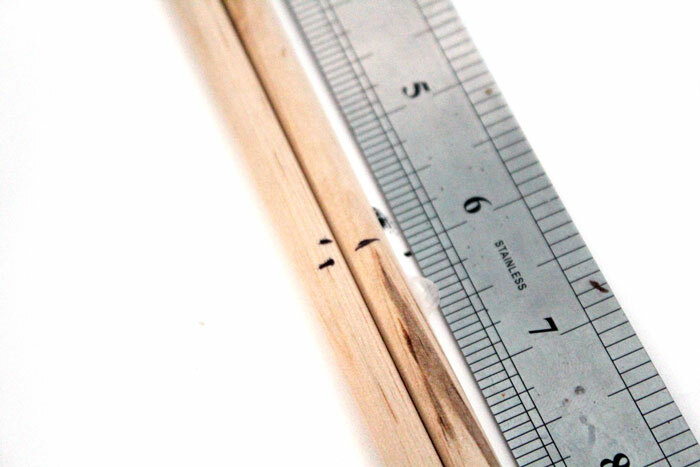 Wind around in both directions until your dowels are firmly crossed. Knot tightly and trim. 3. 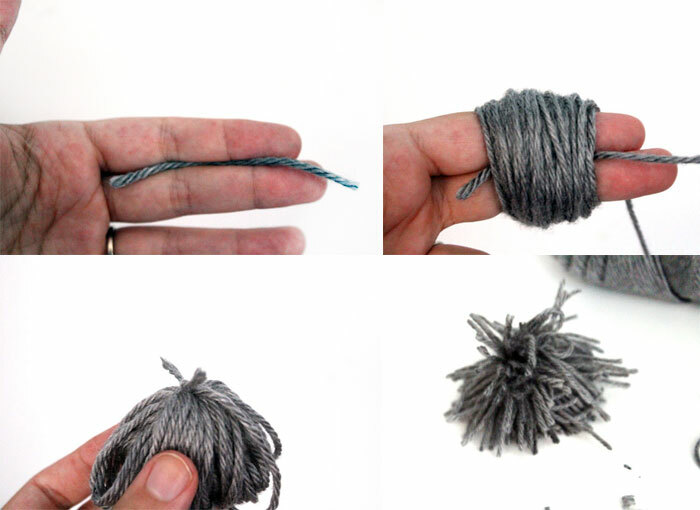 Make four tassels! 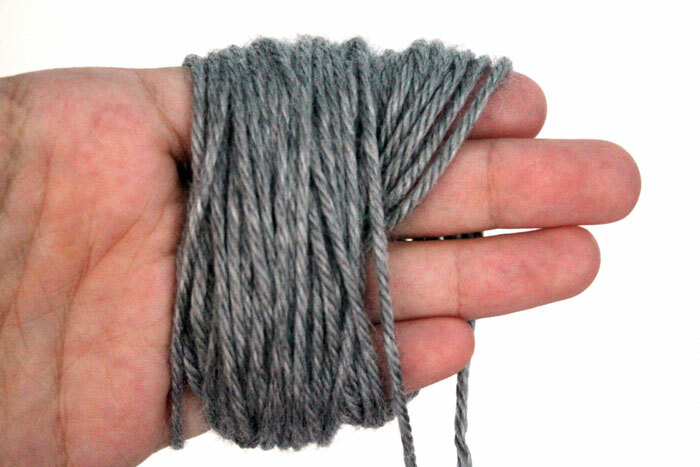 Wind your yarn to the desired thickness around your fingers. Pull it off, and tie a string around the bundle. Cut open the other side. Tie another string a little bit down from the top of the gathered side. 4. Make a few pom poms. I wasn’t sure where I’d be placing these, so I made some extras, but only used two in the end. You can stick some more on if you prefer (I was happy with the look after I had the two small and one large on.) 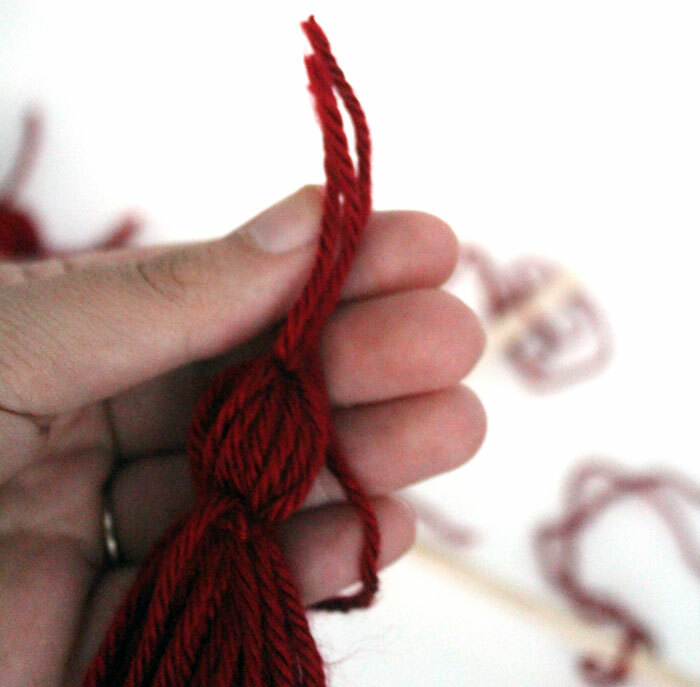 To make it: Place a bit of string between your fingers (cut it longer than I did – it was hard to work with.) 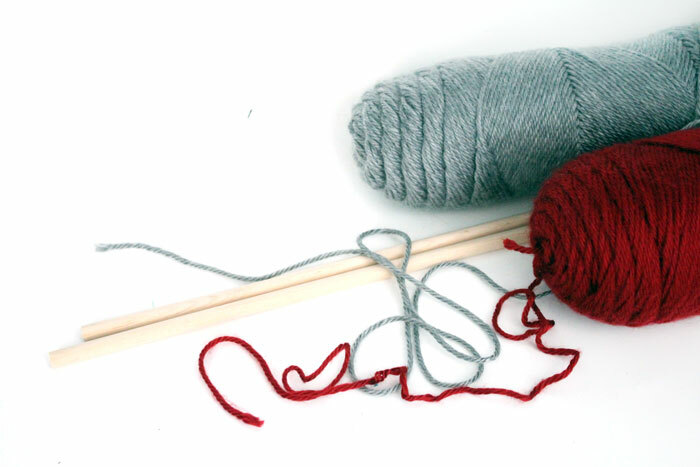 Wind the yarn as many times as you can around the fingers for a lush pom pom. Pull it off, keeping the bit of yarn in place and tie it together. Cut your loops and trim. For the shaggy, droopy pom pom in the center, I used all four fingers. 5. Put it together! 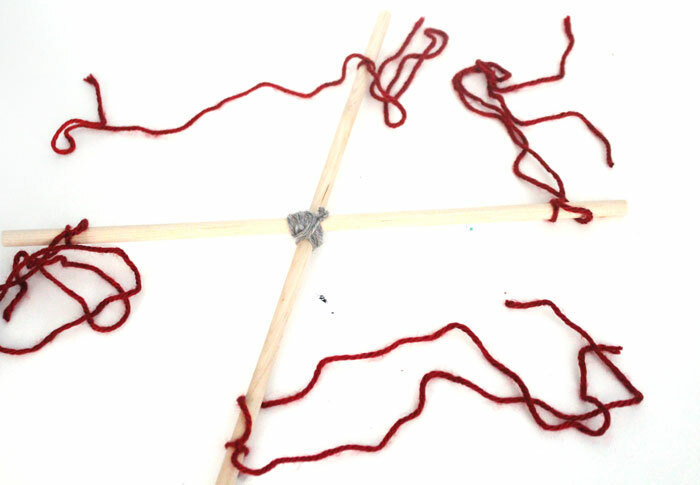 Tie four strings around the ends of the dowels as pictured (in the center of the string). 6. 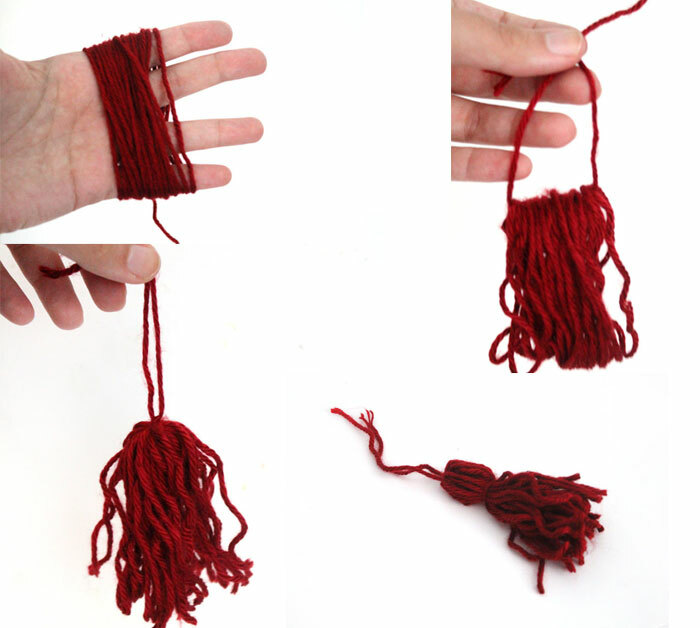 Hang your tassels by knotting one to each string (one half of it). 7. Knot the four ends of the other strings together at the top to make a hanger. 8. 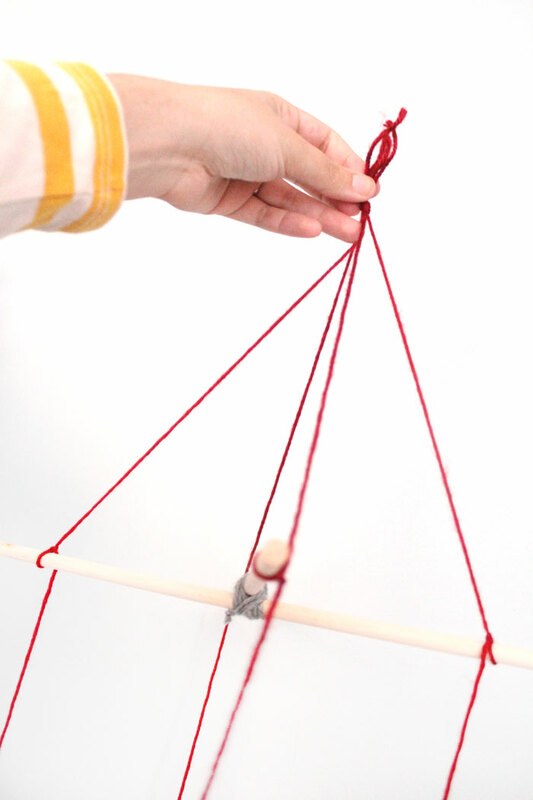 Tie another string to the center of the mobile where the dowels cross, but let it hang lower. Use a bit of string to attach a small pom pom to the cross area. 9. 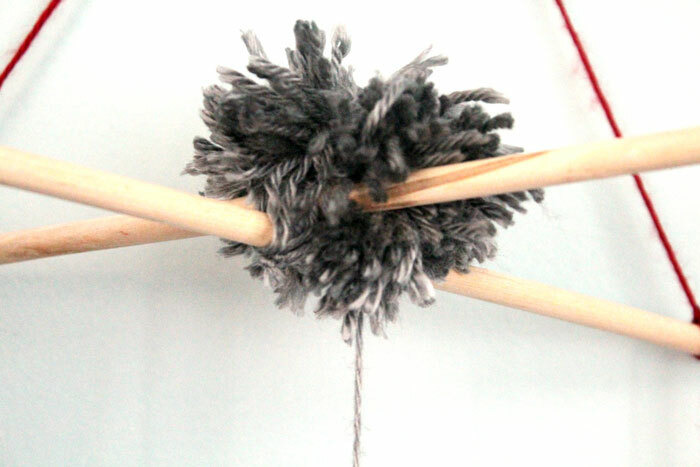 Tie the big, shaggy pom pom to the end of the long string. Tie another to the center of the string. Your mobile is ready to hang! 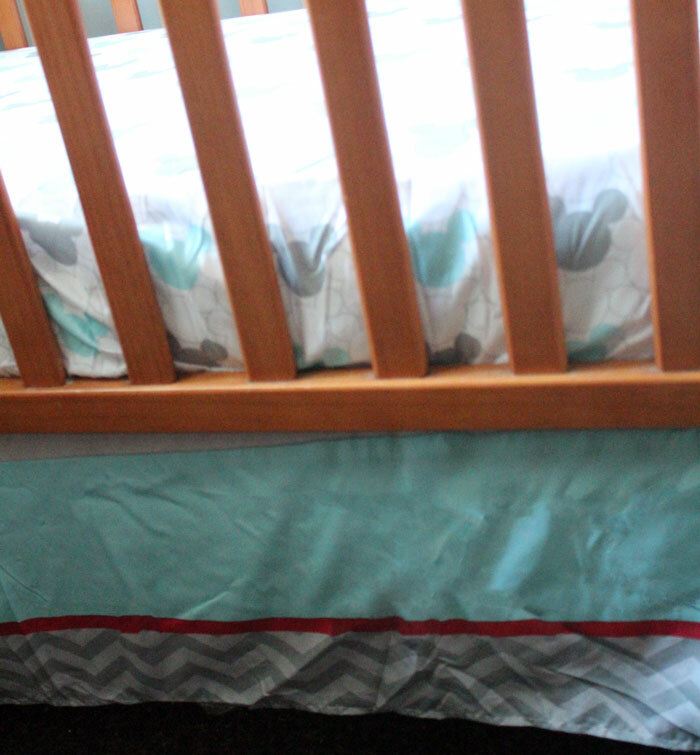 I used painters tape (you an use a hook screwed into the ceiling) as it’s more rental-friendly, and hung it over our changing table, not the crib where he sleeps. Don’t you just love how it goes with our new Disney Baby bedding? 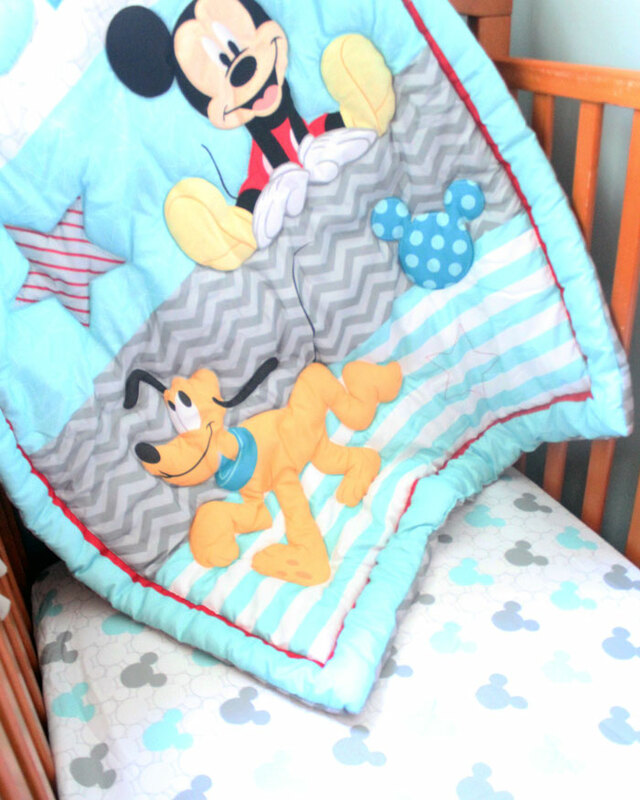 Which Disney Baby bedding would you use to make over your nursery, and how would you decorate with it? Crafts for moms, sponsored. Bookmark. Learn with Play – 150+ activities in a brand new book! This is so cute! We never had a mobile, but I wanted one. If I get pregnant again, I’ll have to make one. I think I’d do Nemo bedding because we love fish! I loved the Nemo one too! Oh this is so cute and looks like a simple craft we could all do. Looks great with the Disney bedding! Thank you! I miss my old mobile, but love the new nursery! This is such a cute DIY mobile for little ones. I am going to make one for a baby shower gift – thanks! This is such a cute idea! I love how simple it is to make and you can personalize it with any nursery theme! Thank you 🙂 We’re loving it!